Purchased a new 114060 from local AD today. Decided I preferred the clean look of the no-date model, don't need my watch to tell me the date, and wanted my first Rolex to come from the local AD. Replaces my Sinn 656 for daily wear, was a little concerned about the comfort of swapping from leather strap to a bracelet, but after only a couple of hours it feels great. Obligatory wrist shot. 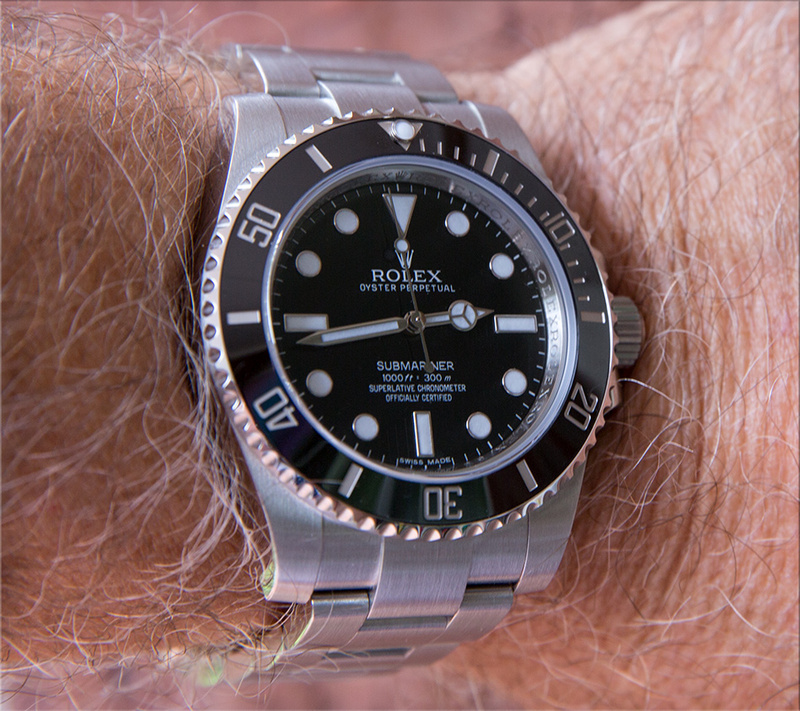 Previous Topic: Anyone else wearing Rolex today?